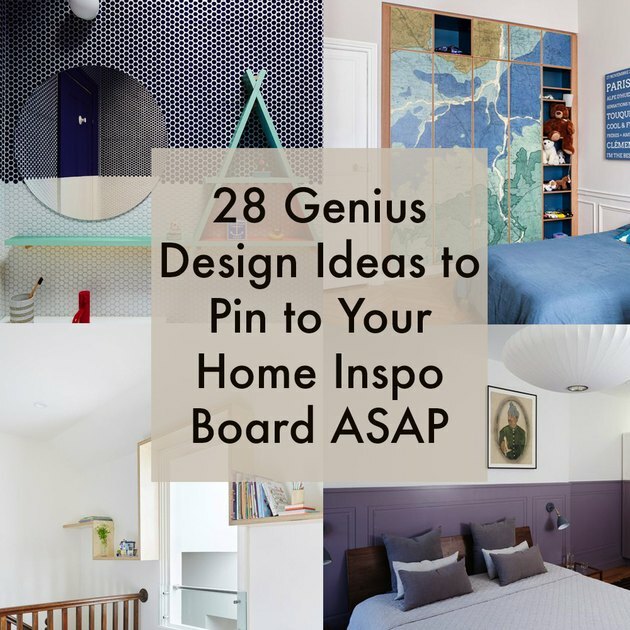 Ready, set, Pin: Here are 28 fantastic ideas from tricks with paint and tile to creative DIYs to save to your Pinterest to-do list. 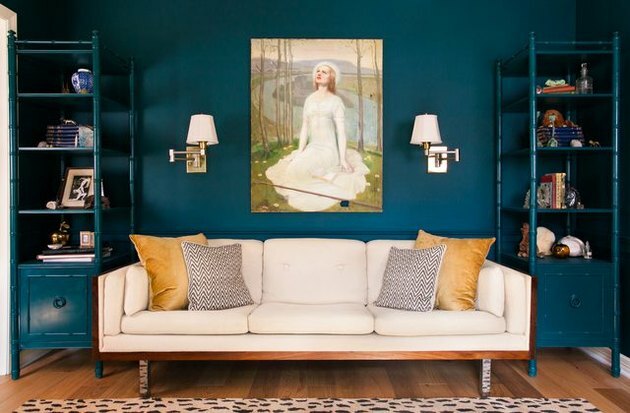 Paint a color up half a wall, and for an even more dramatic effect, continue the color around the room, even on shelving and built-ins. 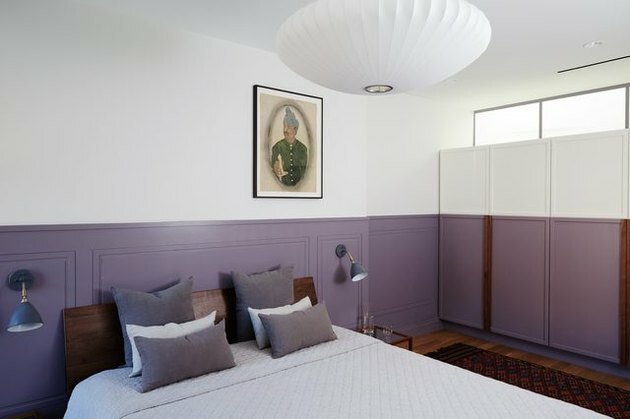 For a bold look, try painting a wall in a daring color, and also paint accent pieces in the same hue to give a unified feeling. 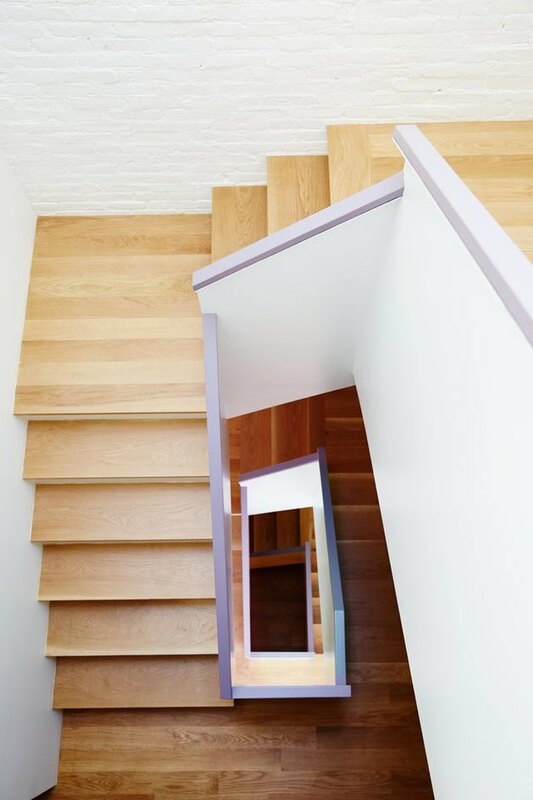 If you're lucky enough have a home with multiple floors, think about creating an ombre banister motif. 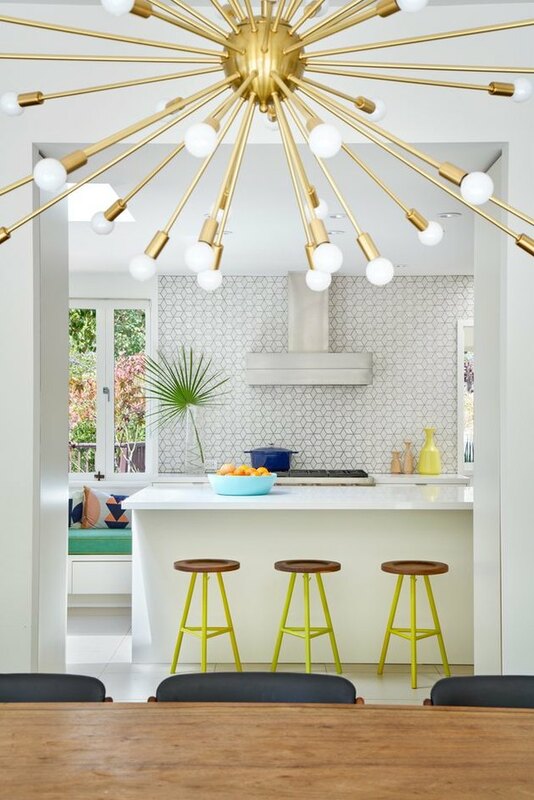 Give kitchen stools a refresh: Disassemble, spray paint the legs a fun neon hue, then put it all back together again. Bored with brick? A coat of black paint changes the look completely. Looking for something subtle? 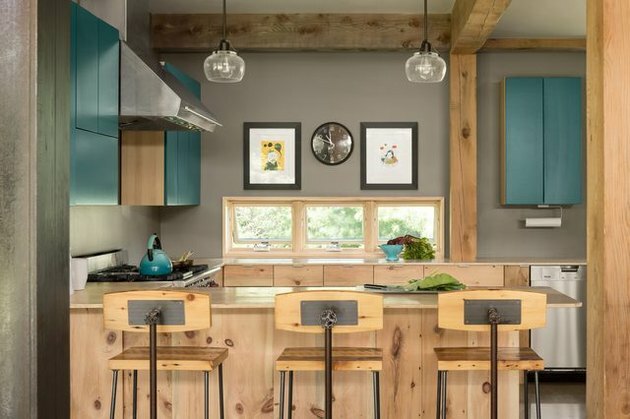 Try painting door and window casings with a pop of color. 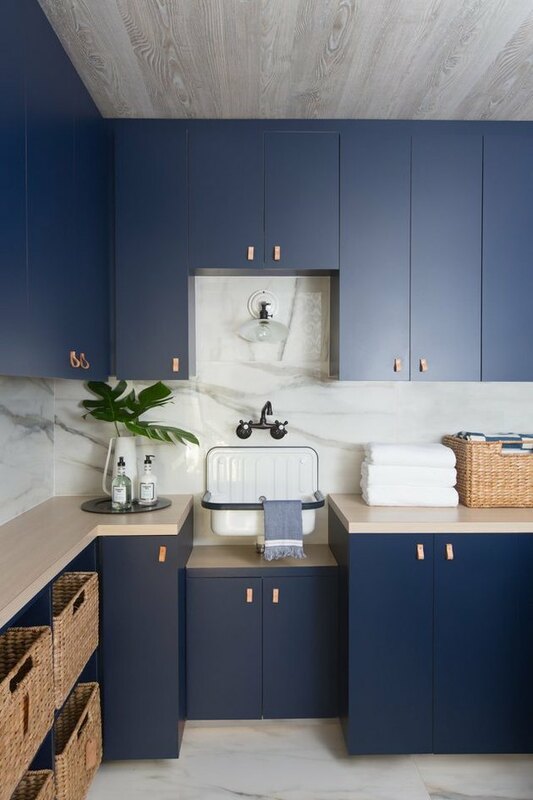 Painting cabinets is an obvious idea, but leaving exposed sides natural tells a cooler story. 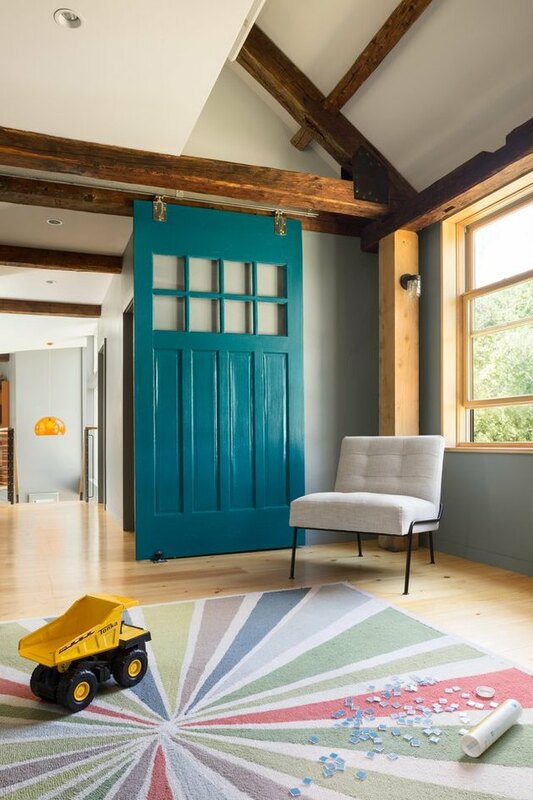 Why not try painting an interior door an interesting hue? 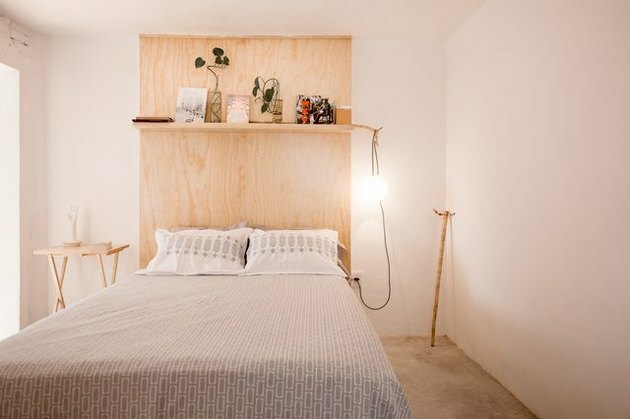 Using plywood, construct a headboard with built-in shelving. 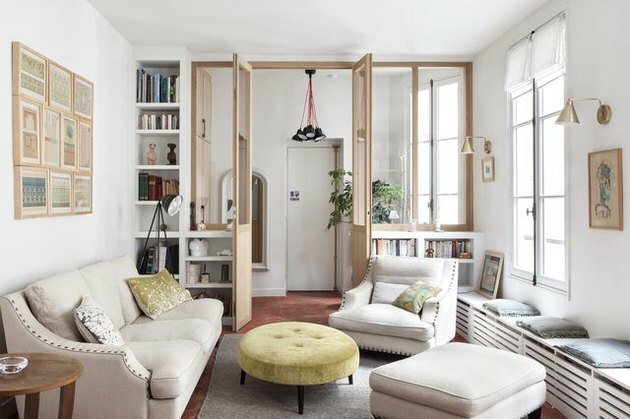 If you've been thinking about putting up a wall to create additional rooms in your home, consider instead a combo window-wall unit that increases storage space and can be closed to provide privacy. 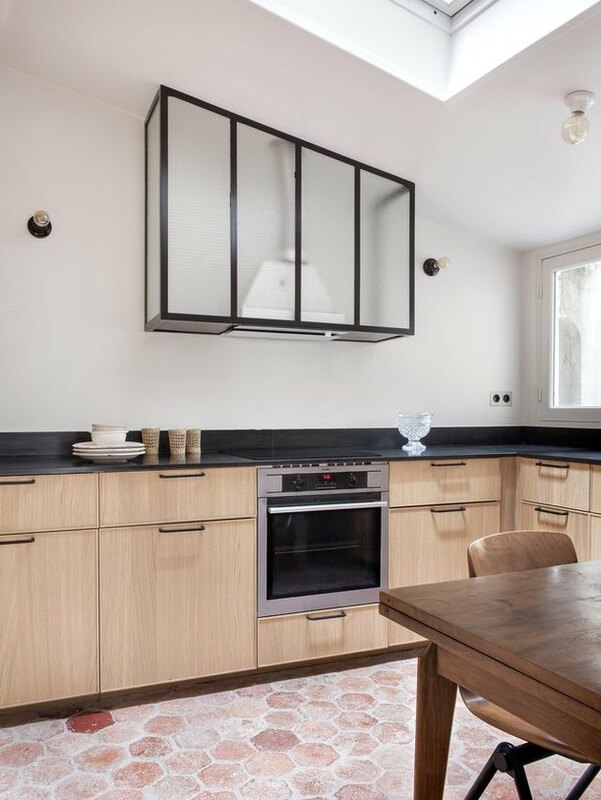 For unsightly oven hoods — this industrial-inspired enclosure is definitely one to consider. 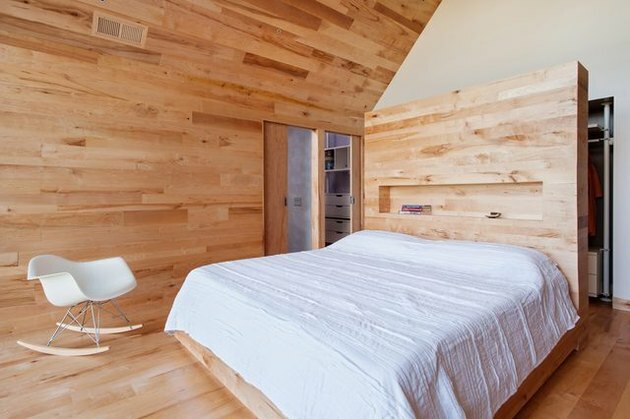 Have an awkward bedroom where there's no clear place for the bed? 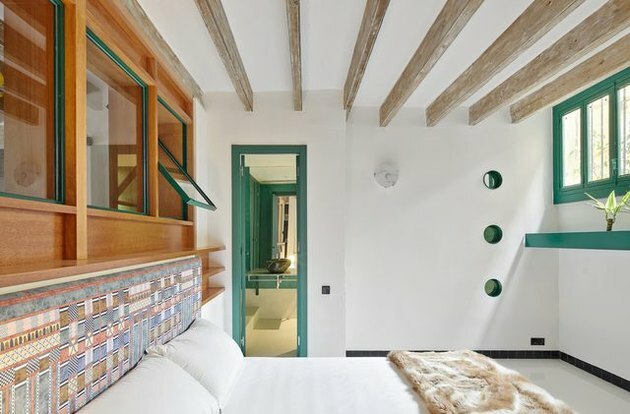 Moving it to the center of the room might be the solution, and you can define its space by installing a floating wall that doubles as a headboard and room divider. 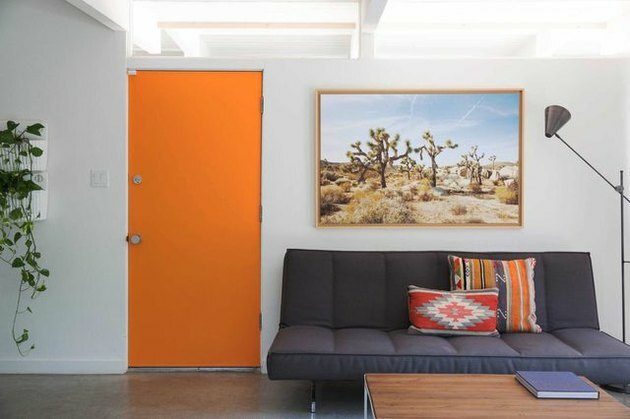 Take a look at your hallways — is there an opening that could benefit from a door? 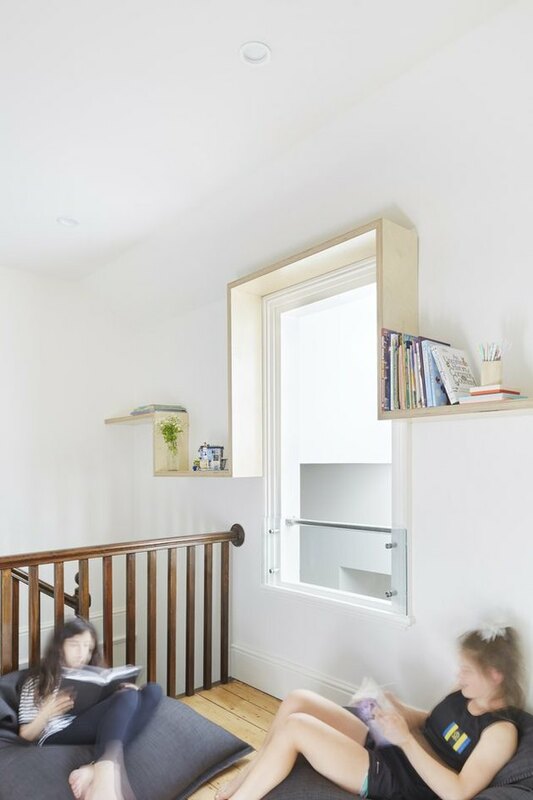 A sliding barn door will give you some flexibility in terms of not having to precisely match a doorway. 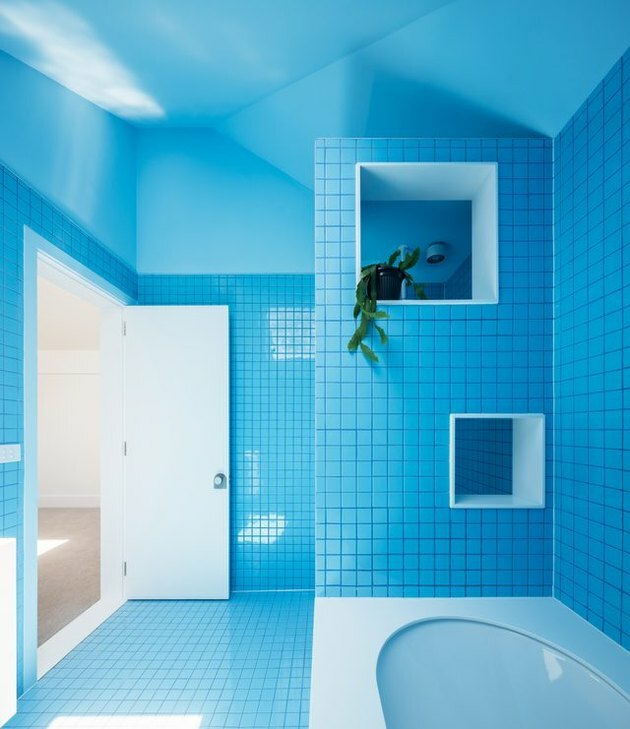 Plus, you can always choose to give it an extra pop of color. We're loving this minimalist bookshelf, which could so easily be constructed out of plywood. 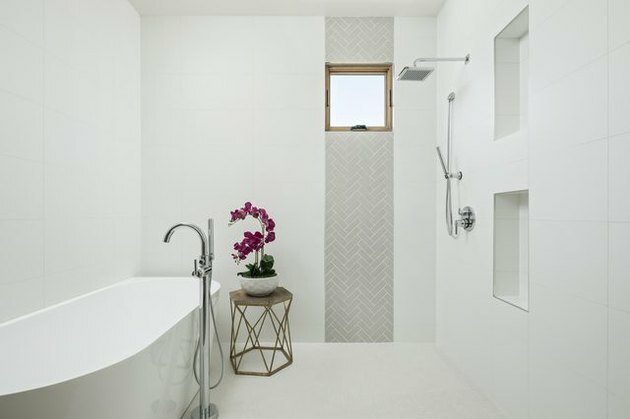 If you're about to remodel a bathroom, consider taking penny tiles off the floors and onto the walls (and we're all about giving it a two-toned look). 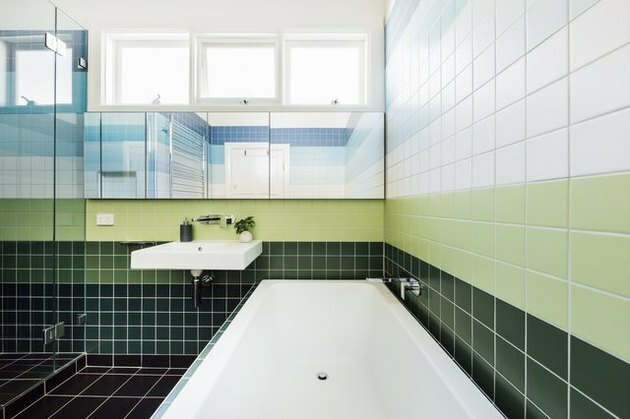 Here's another way we never, ever thought to use tile: a colorblocked scheme. 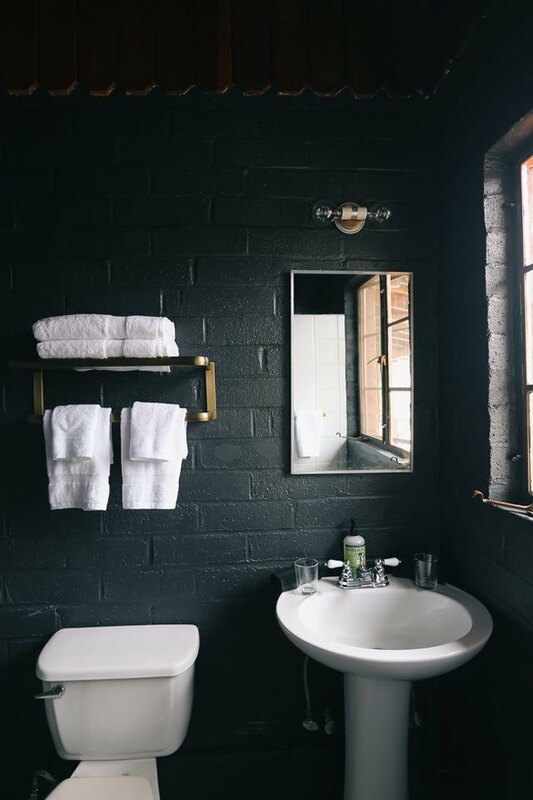 Of course, going all-in on one dramatic hue can make a bathroom truly exquisite. 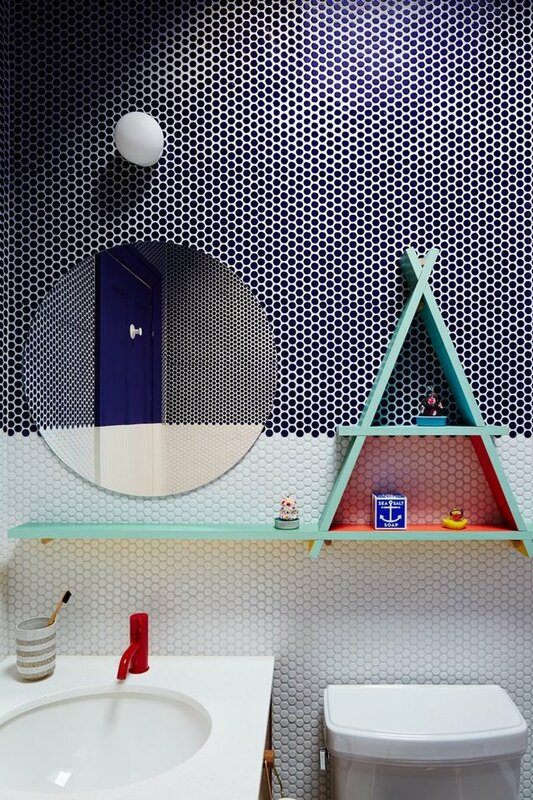 Tile as an accent is also a cool idea — just doing a stripe or block to create some visual interest. 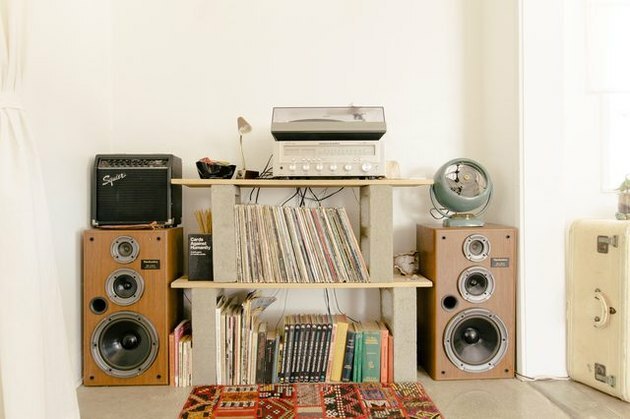 Quickly create extra storage space using plywood and cinder blocks. 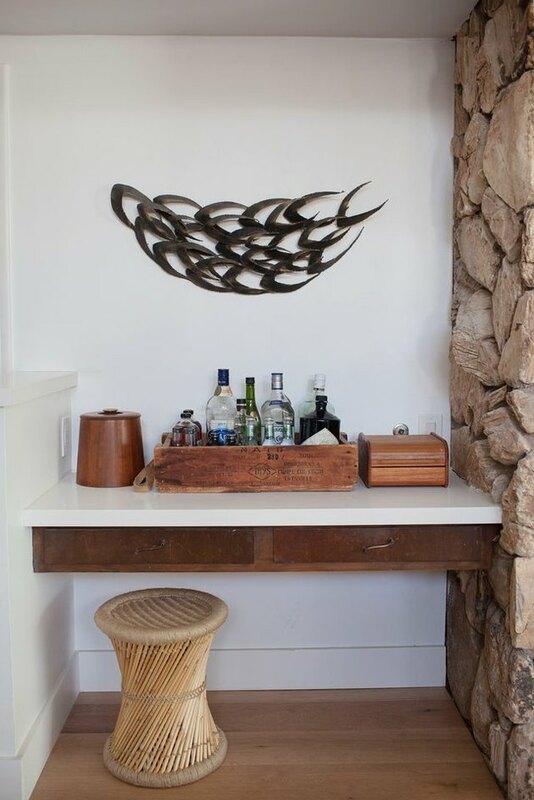 Source a vintage box and use to create a chic mini-bar. 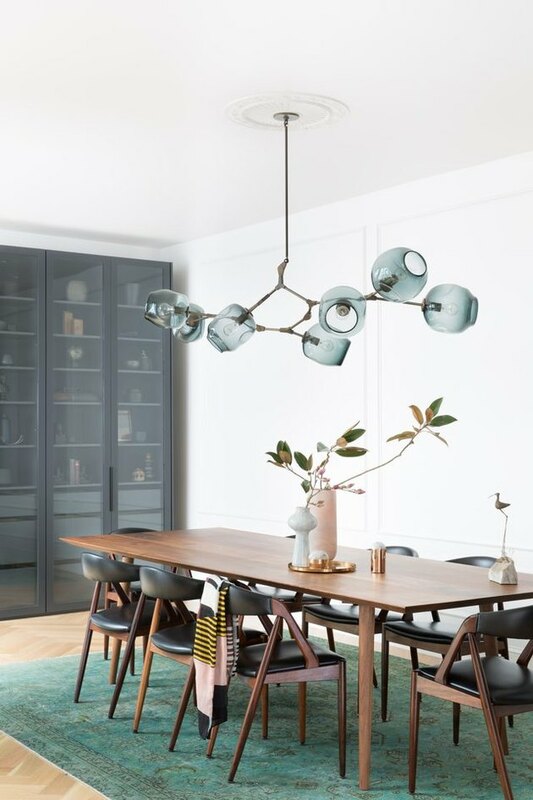 Beaded curtains are back: If you want to create a division in your home, or want to distract from busy open shelves, consider installing a beaded curtain in a complementary shade. A rug under the dining table isn't the most common choice, but this look makes us want to try it out. 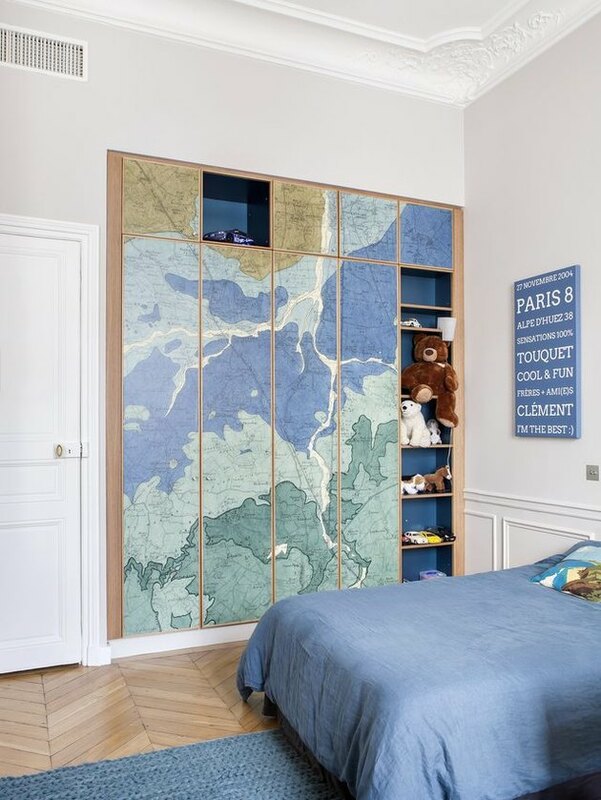 Jazz up a kid's room (or any room) with a large-scale mural that you can slice up to cover cabinetry and storage units. 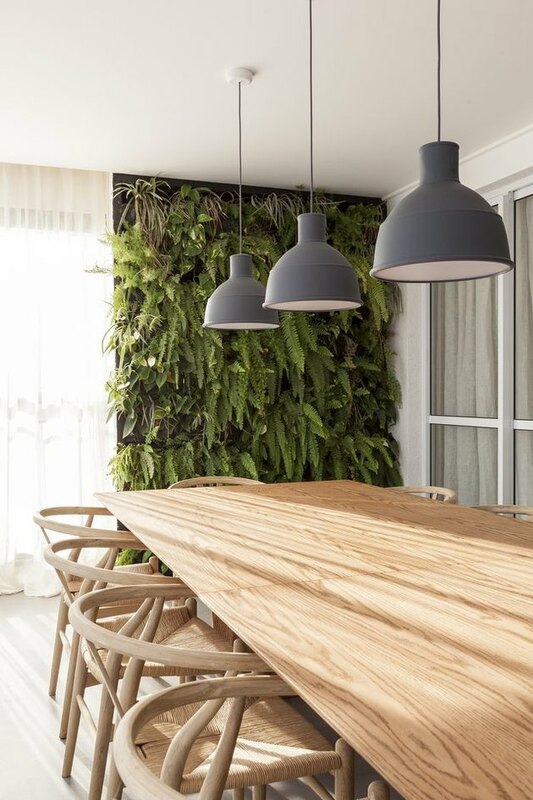 Creating a living wall isn't the easiest DIY, but the results sure are inspiring. 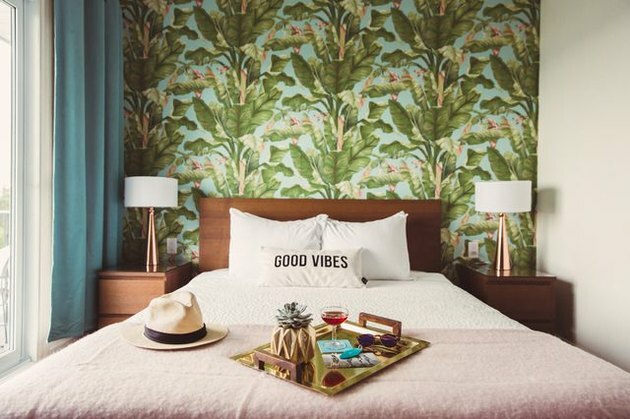 Of course, for a simple, weekend DIY, there's always the good old wallpapering of one wall. Swapping out your hardware for leather tabs is really not that expensive, and won't take that much time. 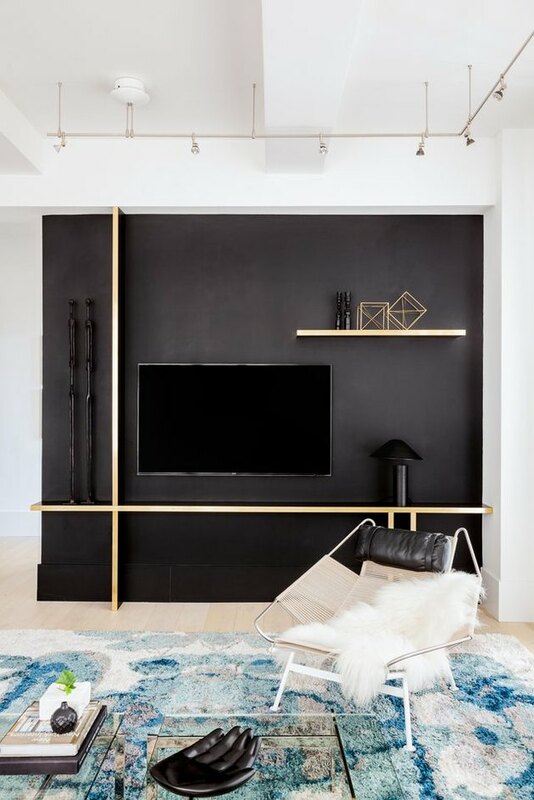 We've always struggled with how to decorate a wall that has a mounted television, but the answer is apparently in creating a simple, yet visually striking installation. 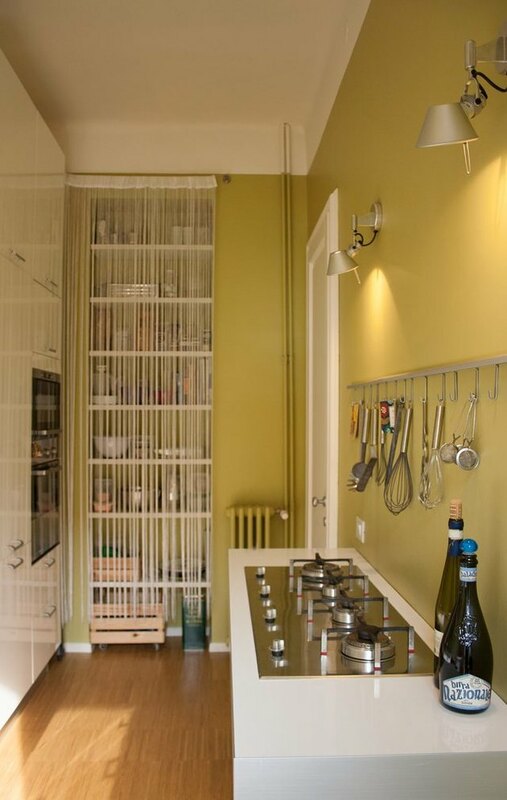 Have a shelving unit that isn't doing much for your space? Consider applying removable wallpaper to its backing.